One of the bigger challenges of planning a family reunion is getting family members to commit to attending the actual event. After all, the more family members commit, the larger the turnout. You should expect that many family members will respond initially with “I’ll think about it” or “I don’t plan that far ahead”. Parents with school aged kids might even say “We don’t have the school schedule so we can’t commit so early”. So what should you do to “convert” the lookers into actual attendees at your family reunion? Here are some ideas that we have gathered over the years that will double the attendance at your next family reunion. We all know that this should be done but very few people actually send out save the date cards. By announcing the date well ahead of time, you are committing to the reunion and letting people know that a family reunion is in the works. The save the date notecards should include the name of the city, the dates, and contact info (Telephone Number, E-Mail , Address) of the person who is planning the actual reunion. If you are looking to have a large family reunion, then you need to cast wide net. Invite cousins, aunts, uncles, wives, husbands, and anyone that will add to the overall experience. Don’t just have a family reunion for the people you like. Invite everyone and the results will surprise you. Folks who have not talked for fifty years will sit alongside each other and reminisce about the olden days. Younger ones will text each other, even if they are sitting right across from one another. And the rest will find their own comfort areas. What you want to create is an opportunity for people who share a common lineage to share their experiences, catch up, and hopefully keep up their conversations well past the reunion. That, in the end, is the gift you will give by helping plan a family reunion. Keep It All Inclusive or A La Carte? Make your family reunion an inclusive event that includes dinner and one event everyday for each family member. While this may cause more headaches when you plan, it does increase attendance at reunions since most people can budget the expense in advance. Most people do not like the unknown and knowing that the majority of the costs are paid for will alleviate people’s fear of overspending. It also helps to not have to pull out your wallet or checkbook at every single event. Finally, by getting people committed in advance, you can buy tickets for activities at a group rate which will save everyone money. Communication is the key to planning a family reunion. If you do not communicate, you will not have a good turnout at the reunion. Use snail mail, email, family reunion websites, and newsletters to communicate everything to your family reunion members. You should update family members on things like group hotel rates. For example, if you get group rates from multiple hotels and want to get everyone’s opinion, then send out an email and have people vote on their choice. Anytime you make a decision or nominate someone for a volunteer position, make an announcement about it. Also, make sure to mention new family members that have paid for the reunion as this will make others feel like the event is a “must”. By doing the above, you will create a sense of involvement in those that are reading the emails. Finally, keep the tone in your communications upbeat and excitable. The people that are reading your communications should be able to feel your enthusiasm through every word. Creating a family reunion website is super simple. There are many services out there that offer to create a family reunion website and most do not cost much. CallingPost.com starts at $7.99/month. Get volunteers at every step of the reunion. Even for little things that may only take an hour, you want to get a volunteer to handle it. Why? Because you want people to invest their time and energy into the reunion planning well before the actual event. By doing so, you create a natural buy-in factor that makes people take ownership of the reunion. Once a person has volunteered for something, they will want to see the outcome and that will require their presence at the reunion. One suggestion for when you are looking for volunteers is to delegate tasks rather than ask. Call the family member or email them that you need something done and that it would be great if they could take care of by a certain date. By assigning rather than asking, you will be able to check off the list of to do items faster. Be excited about the reunion from the get go. People respond better when they see someone who is excited about something rather than someone who is just blah. The same goes for your reunion. Your family members will sense your enthusiasm in the way you communicate with them and they will respond in kind. Be passionate about the project by being proactive with tasks, respond to all questions with meaningful answers, and use words with positive energy (Great Job! Or Wow!). If you seem excited about the reunion planning, then your volunteers and attendees will be mirror images of that attitude. Many reunions just focus on the banquet, some relaxation time along with an activity or two. However, today’s family reunion attendees are active and younger and want more activities (indoor and outdoor) during their reunions. If you want to attract more people to the reunion, then plan to attract this crowd with “active” activities like kayaking or snowmobiling. Make sure to plan activities not only for every day of the reunion, but also for every age group. Some seniors may not be able to hike a seven mile trek in the Adirondacks, but they may enjoy a relaxing game of bingo after lunch. Plan to have multiple activities for each time slot and make sure to post the agenda on the family reunion website ahead of time with costs outlined. If you want to attract more people, then have an early bird special for your reunion. If someone buys their entrance ticket early, they can get a 10% discount. Make the purchase refundable up to a certain time before the family reunion so people don’t have to worry losing all the money in case they change their mind. Is Your Reunion Kid Friendly? 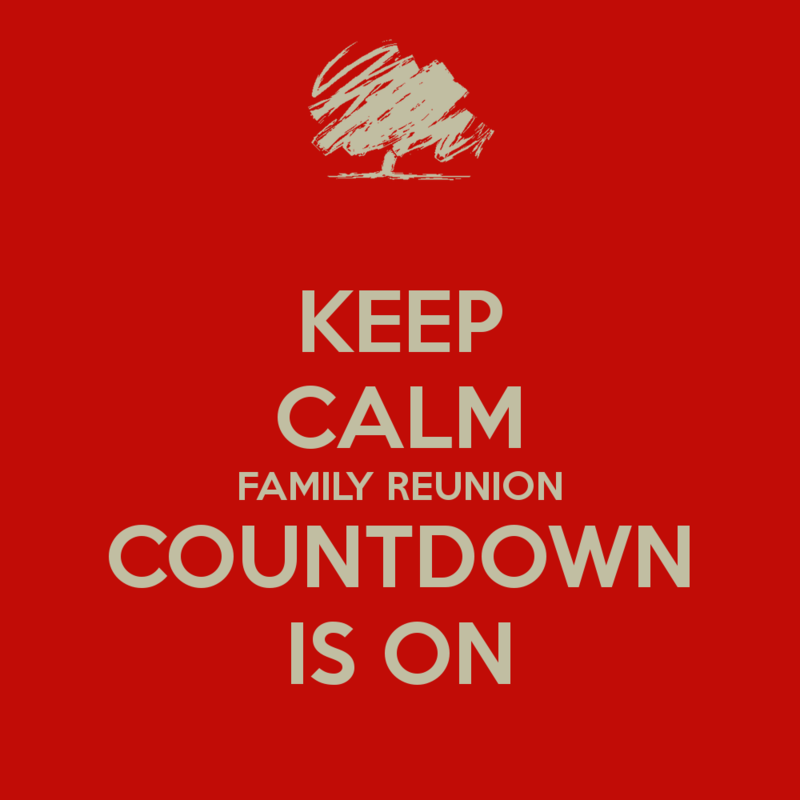 Typically, families with kids don’t make the trek to family reunions due to a lack of activities for the younger ones or due to the timing of the event itself. Solve both problems by making the family reunion in the summer (when the kids are off from school) and choose a location that is kid and adult friendly (e.x. Tampa makes a great family reunion destination since it is within driving distance to many theme parks, and has lots of adult activities too). Make the reunion attractive to the kids and the parents will follow. Thanks to GroupTravel.org for their content on this blog!